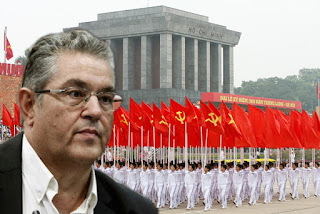 A delegation of the Communist Party of Greece headed by General Secretary Dimitris Koutsoumbas is visiting the Socialist Republic of Vietnam, following an invitation by the GS of the CC of the Communist Party of Vietnam. Except from Secretary Koutsoumbas, the delegation is comprised by Dimitris Arvanitakis, member of the Political Bureau of the CC, Giannis Giokas, KKE MP and member of the CC and Giorgos Eltahir, member of the Editorial Board of 'Rizospastis'. 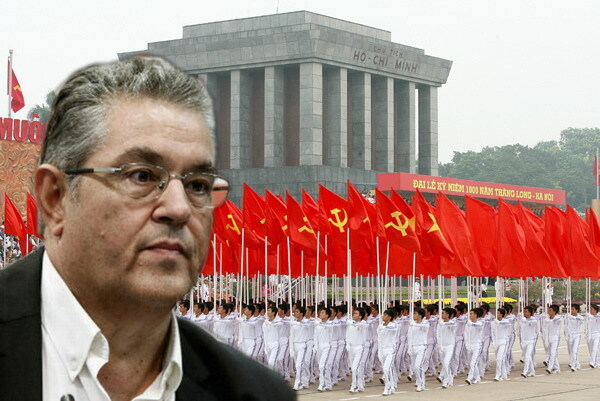 During their stay in the country (8-15 July), the members of the KKE delegation will visit Hanoi and the city of Ho Chi Minh (formerly Saigon), where they will meet with the General Secretary of the CC of the CP of Vietnam, the head of the Party Committee of Ho Chi Minh city as well as other sections of the Central Commitee of the Party. Additionally, the KKE members will pay a visit to the Peace Committee of Vietnam, the Youth Organisation of Ho Chi Minh, the newspaper 'Nhân Dân' as well as to the Greek ambassador in Hanoi. Source: Rizospastis, 9 July 2016.